Occasional Brief Observations: What makes an "expert"? 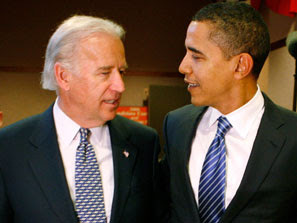 Senator Obama has picked his running mate and candidate for vice president, and it is Senator Joe Biden. Reactions have been mixed, but most people seem to agree that Biden is considered an expert on foreign policy, international relations, and what is going on in the world. Reading and re-reading about Biden's expertise, this blogger began to reflect on what it takes to be seen as an expert in political circles in Washington, D.C. There seems to be a strong correlation between serving in a leadership position on a Senate or House committee and a perception of expertise in the area covered by the committee. So, for foreign affairs it is Biden on the Democratic side and Lugar on the Republican; for judicial-related affairs it is Patrick Leahy (D) and Arlen Specter (R); for banking it is Chris Dodd (D) and Richard Shelby (R); for the armed services Carl Levin (D) and John McCain (R), etc. Attaining a leadership position on an important committee is tied to Senate seniority. Also important is a perception of "gravitas" usually achieved by a professorial air or grandfatherly mien along with a good speaking voice... Not to forget assiduous courting of the press and making oneself readily available to the press, especially the talking head Sunday shows. For example, (prior to his retirement) if something unexpected happened internationally one could always count on seeing Lee Hamilton (D) trotted out on television to opine on the situation... He always could be counted on to have something to say... Unfortunately, 99.9 percent of the time it was just a restatement of the conventional wisdom of the day, with no particularly useful insights. It is mostly the same case with Joe Biden - he is always prepared and always has something to say, however, he can be counted on not to stray too far from the conventional wisdom. Given that this is his job and that he has massive resources at his disposal e.g. his Senate office staff; Senate committee staff; and the availability of briefings by the best experts in every field, both in and out of the government (think tanks, professors, experts in various fields, the GAO, the CRS, the intelligence agencies, etc. ), he should be much more knowledgeable than most people. He certainly is more knowledgeable than most of his fellow Senators, some of whom don't know the difference between Sunni and Shia, but that is apparently not all that hard to do! Overall, this blogger isn't that impressed with Biden's expertise!